(‘Vin! This is Vin! said Pnin to himself, and forthwith perceived a decisive course of action) . . . .
At the party which follows, held at Pnin’s rented house, it transpires that ‘Wynn’ is not who Pnin thinks he is, but a Professor T. W. Thomas. T Wynn. Or Twynn. Or twin. Or a doppelganger for Pnin. 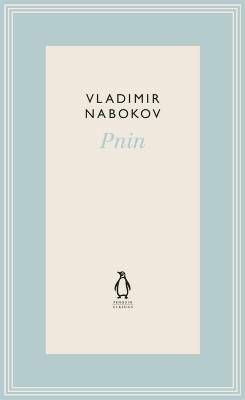 Since Pnin’s story is being narrated by someone who only makes an appearance in the final chapter – and who, moreover, is someone Pnin is eager not to meet (they have known each other, according to the narrator, since their childhood in St Petersburg, a detail which Pnin denies). ‘Good-bye, good-bye, Professor Vin!’ sang out Pnin, his cheeks ruddy and round in the lamplight of the porch . . .
. . . . ‘Now I wonder why he called me that,’ said T.W. Thomas, Professor of Anthropology, to Laurence and Joan Clements as they walked through the blue darkness toward four cars parked under the elms on the other side of the road. Mythopoeic his slips of the tongue may be, but it strikes me as only natural that a character whose existence lies in the hands of an unreliable narrator should himself create his own erroneous double (Vin! Vin! ), while ignorant of the fact that one’s double, of course, has a double of his (or her) own. I grow fonder and fonder of Pnin as I spend longer and longer in academe, slowly becoming my own hapless double – myself as the academic I never suspected I would become, as the older loser I tried to but couldn’t anticipate. But then I suspect I never did have any hap. Better, I think, to be out of hap than to be bereft of gorm, Bill. When a Scottish student departs for university he or she always takes a bucket of gorm and a sack of gruts.